The holding company of collapsed virtual currency exchange Mt. 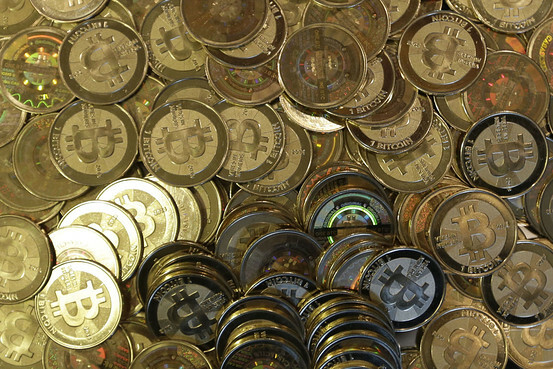 Gox is looking to sell the trademarked word bitcoin, according to a company executive. It is unclear if any money from the sale of the rights would be used to pay back the creditors of Mt. Gox. The executive said the company wanted to sell the trademarks because it had no use for them. Tibanne, a company headed by former Mt. Gox chief Mark Karpeles, had its registration of the bitcoin trademark approved in Japan and the EU in 2012, according to the online databases of the patent authorities for each territory. The trademarks will expire in 2021 in the EU and in 2022 in Japan, though they are both renewable if fees are paid. Tibanne was effectively the operator of the troubled bitcoin exchange since Mt. Gox had no staff. The two companies share the same office address in Tokyo’s Shibuya district. Tibanne’s lawyers could not be reached for comment. Lawyers familiar with bankruptcy proceedings who are not involved in the exchange’s case said that Tibanne has no legal obligation to repay the 127,000 creditors of the exchange. Mt. Gox filed for bankruptcy protection in late February, saying it had debts of ¥6.5 billion and that it had lost 850,000 bitcoin. It later said it recovered about 200,000 of the missing bitcoin. Should Tibanne raise funds from a sale of the trademark package without using at least part of the proceeds to help creditors of Mt. Gox, that would likely anger those who are out of pocket following the collapse of the exchange. “Even though the company is not obligated to, it should repay customers with assets it has. That’s the way it should be. For anyone it’s obvious that Tibanne and Mt. Gox were operating as one company,” said Keiichi Hida, a Mt. Gox creditor. Prospective buyers would also have to consider how enforceable the trademarks are. A spokeswoman from Japan’s patent office said that trademark holders can exercise the right of owning a word by suing anyone using it without permission, but any judgment on a claim’s validity would have to be made by a court ruling. The office could also consider invalidating a trademark if it thinks the term was already commonly used at the time of registration. Japanese lawyers not involved in the Mt. Gox case said it would be difficult for anyone to profit from owning the bitcoin trademarks since the word was first coined by a person or group using the name Satoshi Nakamoto in a 2008 research paper. When the company registered the trademarks it said it was looking to keep use of the word free and stop others from limiting or profiting from the word’s use, according to apress release from Mt. Gox issued in 2011.